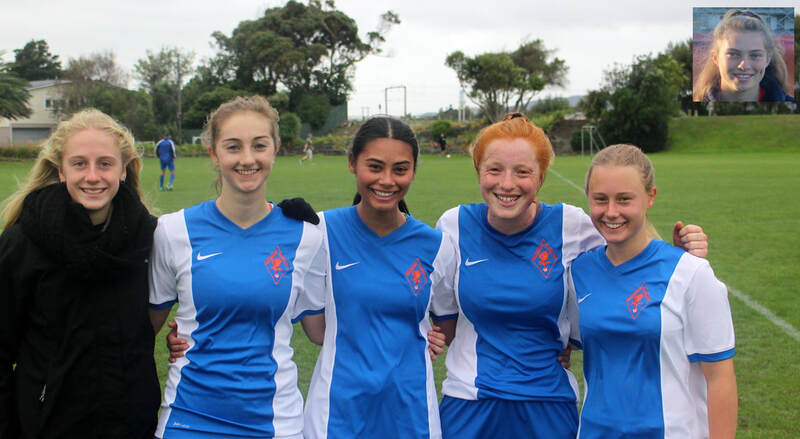 Wellington United's international representative's will grow this month when six Diamonds players will represent the New Zealand Secondary Schoolgirls at the Dallas International Girls Cup. Kelsey Wilkinson & Genevieve Berry will be with the U17 team, while Nat Olson, Dani Ohlsson, Charlotte Wilford-Carroll and Molly Simons will be with the U19 team. The Dallas International Girls Cup is a youth tournament with 152 teams from 12 countries including USA, Canada, Colombia, Mexico, England, Denmark, Costa Rica, Norway, Australia, South Africa and New Zealand, competing. The tournament takes place from the 17-21 April in Dallas, Texas, USA. This is the 9th year the competition has been run. The girls had to apply to be considered and then were scouted at the National Schoolgirls tournament when playing for their respective schools. While they all go to different colleges, Wilkinson & Ohlsson are at St Mary's, Berry, Hutt Valley High, Olson, Wellington East Girls, Wilford-Carroll, Wellington Girls and Simons, Paraparaumu College, they all play together for Wellington United. Nat Olson and Charlotte Wilford-Carroll have played together since their very junior days when they played in boys teams before moving to Wellington United joining up with Dani Ohlsson to play in all girls teams that played in the boys leagues. Genevieve Berry has established herself in the Diamonds W-League team and her maturity as a player belies her young age. Kelsey Wilkinson is a promising player who we will see a lot more of over the next few years. While Molly Simons is a talented goalkeeper who has just joined United this season from Kapiti Coast United. Between the six of them they have played over 180 games for Wellington United's 1st and 2nd teams. While obviously excited they are a bit nervous saying they have no idea what to expect and all they really know about the opposition is that they are up against three American teams. The U17s will be taking on local sides Sparta FC, Dallas Sting and Oklahoma Celtic. While the U19s will face Darlington School from Georgia, and Texan sides Solar 00 and Dallas Texans.